There are three ways to make order changes. 1. Phone into the Model Dairy voice mail system. 2. Phone the Morning Star Office. 3. Send an e-mail order change from this site. Find out your route number. On your statement it is the first two digits of your account number. If you are in Northwest Reno it is 59. Southwest Reno (to S McCarran) is 10. Sparks & Spanish Springs is 21. South Reno (South of S. McCarran) is 34. 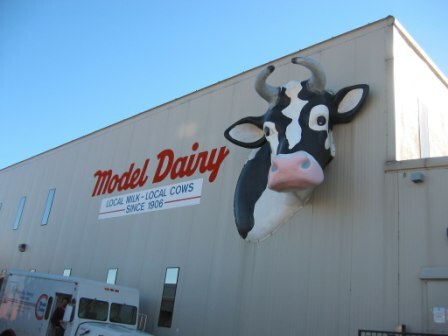 Please try to call as far in advance is as you can since Model Dairy is now requiring us to do advance ordering. Changes can be made on the voice mail up to midnight the night before your delivery. If one of those numbers goes to an operator do not leave a message. That is an answering service and they make too many mistakes. Try re-dialing and if that does not work call the Morning Star office. DIAL 775-747-2379 If we are in the office we will answer the phone but since we are a small company sometimes you will have to leave a voice-mail on the office phone. This method requires that you make your order change by 3:00 PM the day before your delivery. If your delivery is on Monday you need to do it by Friday 3:00PM. This method has the advantage of showing a list of the products we offer. If you do not specify, your order change will be assumed to be a one time order change. Most customers have a standing order. The "standing order" is very convenient because whatever is ordered is delivered automatically so you don't have to do anything except pick it up from your porch. Items can be ordered once a week or once every two weeks. Once a month items can be orerdered for the first delivery of the month only. Change your standing order whenever you are getting too much or not enough of a product. We don't want you to get overloaded or to run short before your delivery. Do you want the items you stated "only" and no regular order? If you don't specify we will assume it is extra. Please change your order as often as you want or need. We love it when customers change their order because then we know you are receiving maximum service!